In the months after Ignite, we have released many of the capabilities described below. This post has been updated with the latest information, including links to learn more. Since we released it over two years ago, Power BI has redefined what is possible with a truly modern BI tool. Delivered as a cloud service that anyone can sign up for and experience in minutes, it has made our ambitions of delivering BI to everyone a reality. Since launch, we’ve been working on major new capabilities for Power BI Premium, geared towards further realizing our vision of enabling truly massive deployments and demanding workloads in cost-effective fashion. One-click scale-up [available now] of Premium capacities, meaning that organizations can easily increase the resources brought to bear on their critical data, without the need to move content around or set up new capacities. Power BI Premium available for US government and US Department of Defense users [available now], building on Power BI Pro’s availability announced earlier this year. Visit the Azure Government Cloud blog for more information. Additionally, we’ll be building on existing distribution and compliance features to help you keep tabs on your enterprise data and meet security, governance and regulatory requirements. 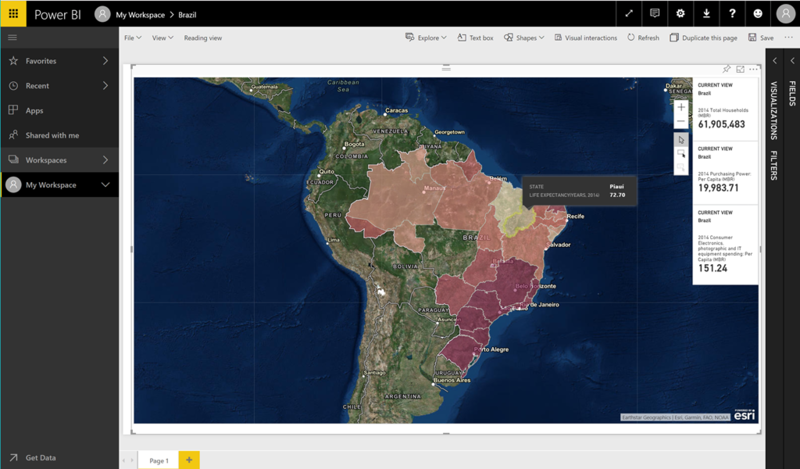 External distribution of Power BI apps [available now – learn more] to suppliers, customers, or business partners to improve decision making across the value chain. Built on Azure Active Directory, external users don’t need to remember extra passwords and can sign on using their own organization’s security credentials. Push Power BI apps to end users automatically [coming soon] so that everyone in your organization can find the reports and dashboards they need, on their first day, and across all their devices. Governance controls are built in to ensure data quality and control standards are met. In-region auditing [coming soon] with auditing data generated by Power BI now stored in the same region as your Power BI tenant. Along with our global data center footprint and industry-leading national cloud strategy, Power BI uniquely enables you to meet your organization’s compliance requirements. Data lineage tools [coming soon] to understand the downstream use of sensitive data sources to plan changes, manage compliance, or understand performance and load. The data lineage solution template is fully extensible to your needs and can be integrated as part of your organization’s monitoring or adoption reporting. Power BI Desktop is the most powerful tool in the market for shaping data into rich, interactive reports. 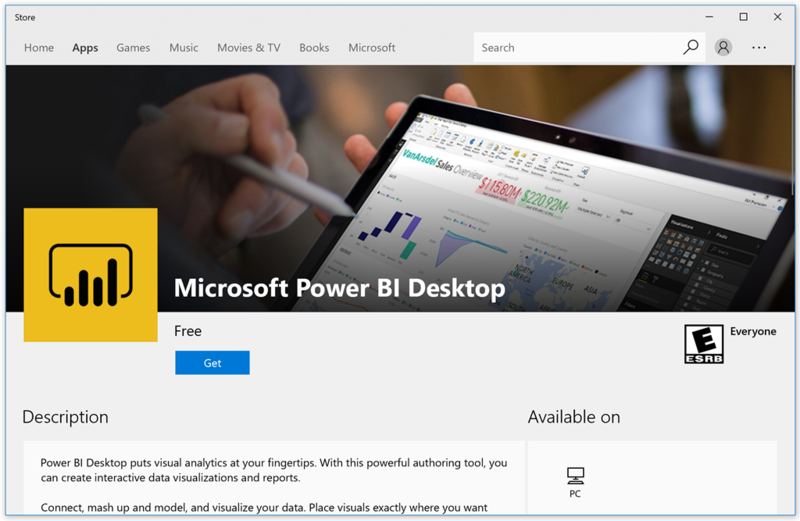 In hundreds of thousands of organizations, Power BI Desktop has helped kindle a powerful data culture by empowering end users to make the most of their data. Power BI works with a rich network of partners to create solutions tailored to every need. Today, we are excited to announce exciting updates to our partner ecosystem. We look forward to seeing you in Orlando. Stop by our booth and attend our sessions. If you’re unable to attend, be sure to watch online.